Monday’s are prime for random conversations, so I’ve got one from my weekend for ya. Do you remember that song from Disney’s The Lion King, “I’ve got a lovely bunch of coconuts, teedley dee, there they are just standing in a row…”? Random, but I was totally singing it to myself at the Hyde Park Fresh Market yesterday as we stopped for a fresh coconut to drink after picking up some groceries at the outdoor market. My friend Desiree joined Nick and I this time and we wandered around for about an hour scouting out what unique things would make it into the reusable shopping bags (just some produce, bread and fish for me). The coconut got Desiree and I talking about coconut water though, and especially the seemingly everywhere placement of Vita Coco Coconut Water, which really seems to dominate in the market place these days with impressive distribution, advertising with celebs and product placement, particularly for a privately held company. We even had some questions as to whether they were perhaps secretly acquired by a huge company like Coco Cola (who I have since learned owns a majority stake in another coconut water product – Zico). Seriously though, I remember the big coconut water craze explosion a couple years ago. Articles claiming that coconut water was the best hangover drink and best thing to drink after working out because it re-hydrated you thanks to its electrolyte heavy contents (it’s packed with potassium). More recent research, however, revealed that while it does earn its title “fluid of life” for having an electrolyte balance that is close to human blood (at one point it was used in blood transfusions), it isn’t the “miracle drink” so many marketers were trying to make us believe it was. I actually really like the flavor of coconut milk and with about 45 calories per serving, it’s a good water substitute if I’m think about doing some extended exercise (anything over my usual 30-45 minutes). The Vita Coco brand is probably my favorite, so I’ve definitely made note of it popping up in regular grocery stores in addition to specialty markets. The fact tat they have loads of folks in the celebrity world drinking them is impressive too. Rihanna is actually a face and brand ambassador for them now. Still not sure how they’re doing it, but they’re doing it well. Just a random discussion for your Monday. 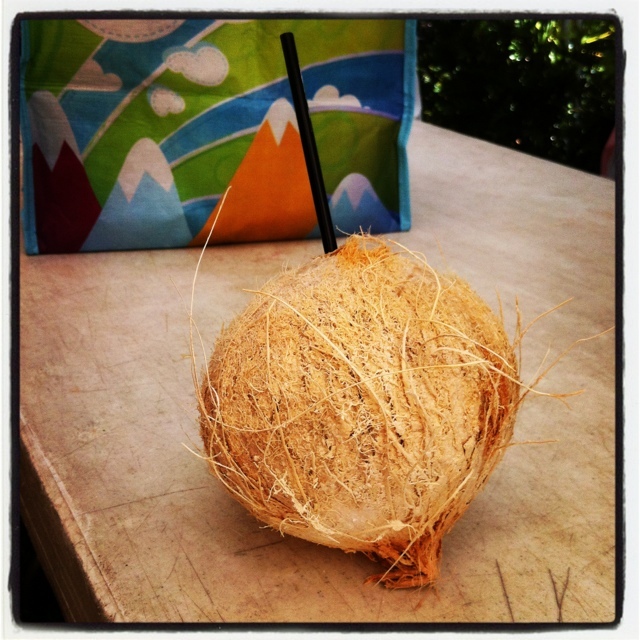 What brand of coconut water do you drink or see most in stores? I love, love, love Zico! My taste buds have deemed it the best that I’ve tried. The chocolate flavor is such a treat, but I enjoy having the plan or pineapple after a workout. It is very refreshing!